"President [Obama] has been clear: Any [military] action that he might decide to take will be a limited and tailored response to ensure that a despot's brutal and flagrant use of chemical weapons is held accountable." "What matters is to weaken the regime to the point where it gives up power. [...] What matters is to repeat here the Kosovo [War] precedent. Otherwise, [just] a 24 hours hit-and-run wouldn't work." 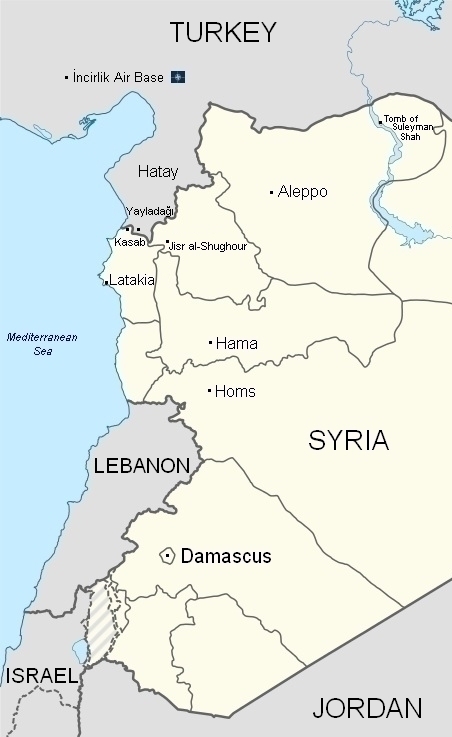 On March 21, NATO-backed mercenary forces and Turkish Armed Forces launched a massive offensive on the Syrian border town of Kasab in the Latakia province. The unprecedented overt military aggression by Turkey and its NATO allies is the clearest indication of their desperation in the face of Syria's steady progress towards a decisive victory on all fronts. Cem Ertür is an independent researcher and peace activist, currently based in Istanbul. Some of his work is published at Global Research and all his Propaganda Alerts since November 2011 are published on Indybay . Will Turkey be complicit in another war against another neighbour?